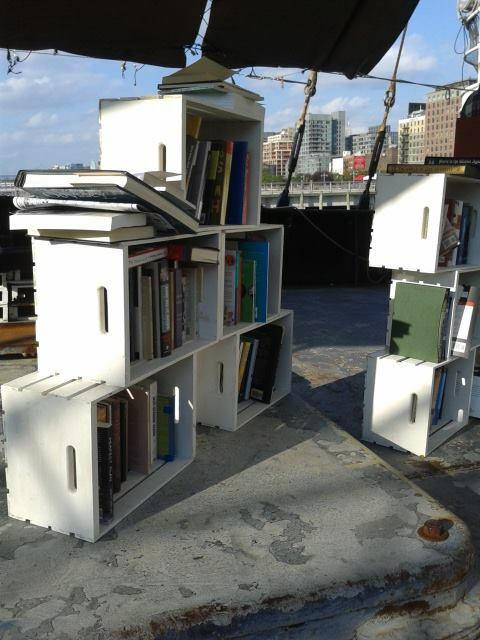 The Floating Library at Pier 25 is open until October 3rd — don’t miss out on the chance to behold the dual glory of boats and books! I made it down there Saturday with Thomas (my partner-in-crime) and Haley (my co-conspirator), and the three of us oh-so-bravely faced seasickness — and super narrow ladders — to experience this one-of-a-kind event. On board the Lilac Museum Steamship at Hudson River Park’s Pier 25, we toured the ship’s deck, engine room, and pilot house, browsing a selection of books along the way. 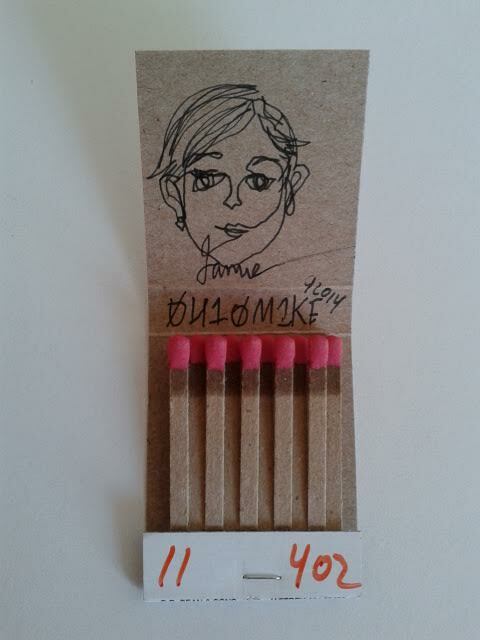 There’s also a Listening Room featuring six “sound artists.” Oh, and we met 0h10M1ke, who drew our portraits on matchboxes.